Integra (thinking): I wish we had more information on this castle. Well, it can’t be helped. 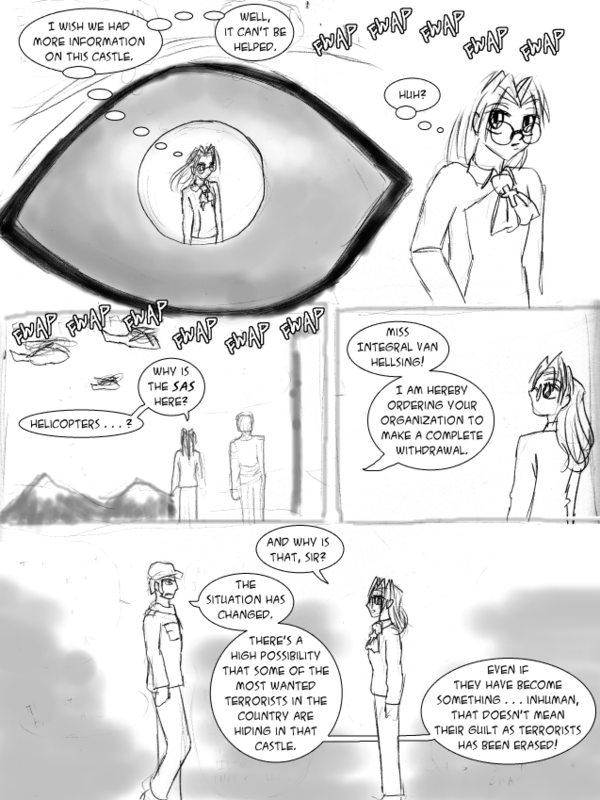 Integra: Helicopters…? Why is the SAS here? Soldier: Miss Integral Van Helsing! I am hereby ordering your organization to make a complete withdrawal. Integra: And why is that, sir? Soldier: The situation has changed. There’s a high possibility that some of the most wanted terrorists in the country are hiding in that castle. Even if they have become something…inhuman, that doesn’t mean their guilt as terrorists has been erased! Not a guest comic, but a guest vid. Check out the artist’s channel for more.